Danny Bryant is one of the most consistent and hardest working guitarists in blues rock. 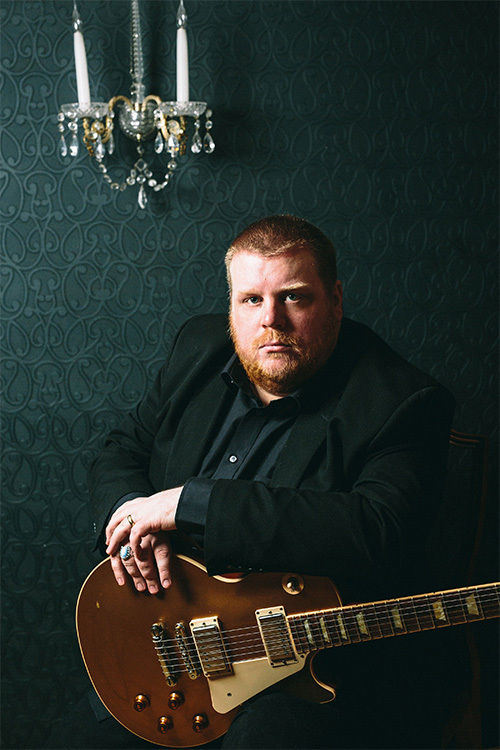 On April 20th, Bryant is set to release his new album, Revelation, and took some time to chat about it with Blues Rock Review. Your new album, Revelation, is your twelfth by my reckoning, and your fifth for Jazzhaus Records. It’s been some journey you’ve been on? Would you agree? Yes, I am 37 years old now, and this year I will have been doing this for twenty years, which seems quite hard to believe. We tend to have a new project on the go every 18 months or so, it keeps things fresh for both myself and the audience. Again, you’ve gone to Richard Hammerton to produce, striking up a great partnership? Richard and I have a great friendship and a great working relationship. He is very good at seeing a song that is just in its raw form as a demo and visualising it in its completed form. He is big on melodies and eternally optimistic. He also is great at dealing with artists on a physiological level, ensuring he always gets the best possible performance from you. He will push and push but also knows when a take is completed. The writing for this album found you in a bad place emotionally/personally. Were you able to unload your emotions through music? Yes. It was a very therapeutic experience, it was a way of getting out all of the emotions that where going on inside of me. Lyrically the album is quite dark but musically the songs are a little rockier than on previous albums. Need to make it clear that this is not a ‘doom and gloom’ album, quite the opposite? Exactly! You write about how you are feeling at the time, albums are almost a snap shot of particular points in your life. As my Dad had passed away before I started writing, obviously a lot of the songs deal with that but musically the album is quite diverse and the songs present themselves in lots of different styles. The title and the song itself just seemed to fit the overall theme and message of the music. Revelation was the first song that I wrote for this album lyrically speaking and then Richard and I talked about the music and about it having that particular handclap beat in the chorus and going from soft to full on. It’s quite an in your face opening song which we wanted, it meant to make you listen and question. Danny Bryant will release Revelation on April 20th. On “Truth or Dare”, you’ve called on your Big Band line-up, they certainly add some panache? Yeah! That started as just a three date project and a labour of love for me. We recorded those initial shows for the live album Big and it has grown from there. This year I am playing about ten festivals as special events with the big band including one in March that will be broadcasted on TV across Germany. So it is something that we now do alongside the regular line-up. It’s a lot of fun and naturally I wanted them to feature on some songs of this new record. I wrote “Truth Or Dare” specifically with the big band in mind. Shouting at the Moon is dedicated to your late dad, was it a way of easing the pain of losing him? It was quite hard to approach. Richard and I wrote that one together. The lyrics are about the last night that I spent with my dad and some of the things we said, he was very ill by that point but could still talk a little. Musically speaking we wanted it to sound like the songs he loved, he really liked ballads in that style. John Mellencamps “Someday The Rains Will Fall”, besides being topical, good as it is, appears a bit random, what was the reasoning behind including it? I have always really loved that song. One night in the studio towards the end of the sessions I mentioned to Richard that I would like to try it. The version on the album is that first take. It seemed to fit so well with the theme of the whole album, its gentle but with a dark message. So it was a thought out, conscious decision to include it on the record. The only other cover is the Howlin’ Wolf classic “May I Have A Talk With You,” famously covered by Stevie Ray Vaughan, you’ve done it proud! I loved Hubert Sumlin’s playing on the original, in fact I loved his playing full stop! Hubert Sumlin was one of the first Blues legends I ever got to meet. I opened for him on a festival about sixteen years ago. He was really special in every way. That track again features the big band. Suppose that being a great fan of a blues/rock riff, my favourite track has to be “Sister Decline,” do you have a favourite? I think “Sister Decline” is going to be a lot of fun to play live! I don’t know if I have a favourite but I really enjoying playing “Isolate” it has a lot of power in it! I am pleased with the whole album and cannot wait to take the songs on the road. I see you’re touring the album in the UK with the wonderful Canadian one man band, Steve Hill, when does that kick off? 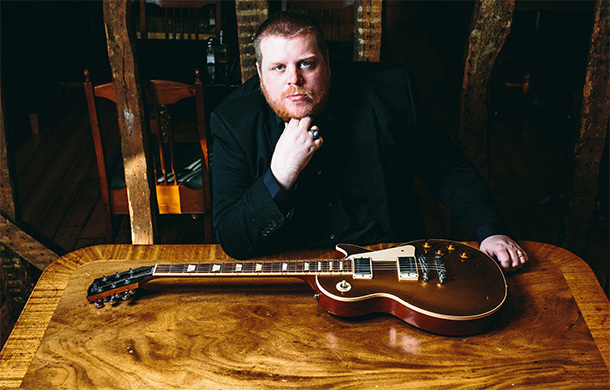 Good luck with all you do, Danny, thanks for taking time out to chat with Blues Rock Review! Always a pleasure thanks very much for your time. All the best.